The purpose of The University of Alabama Confined Space Program is to establish procedures and methods for safe entry into confined spaces. This program covers employees and students who may enter confined spaces in the course of their academic work. 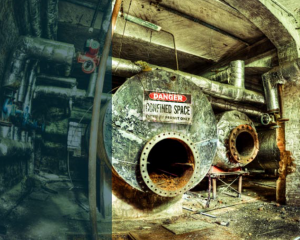 A confined space is any location that has limited openings for entry and egress, is not intended for continuous occupancy, and is so enclosed that natural ventilation may not reduce contaminant levels to below acceptable values. 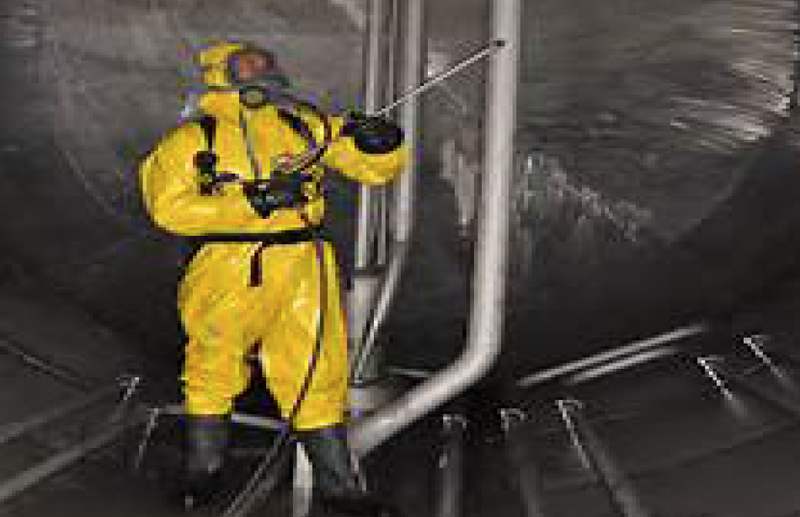 Examples may include: manholes, stacks, pipes, storage tanks, boilers, tank cars, pits, sumps, etc. Entry into confined spaces without proper procedures could result in injury or death due to such things as: lack of oxygen; flammable or explosive atmosphere; toxic materials; or other hazards such as steam or high pressure. There are two basic types of confined spaces; those that require a written permit to enter and those that do not. There are procedural similarities to enter each type but those requiring a written permit necessitate more stringent controls. Contains or has a reasonable potential to contain a hazardous atmosphere. May contain a material with the potential to engulf someone in the area. Has an internal configuration such that a person could be trapped or asphyxiated. Has other safety or health hazards that could harm a person. Entry procedures for permit required confined spaces are very specific and necessary to prevent serious injury or possible death. Complete the confined space entry permit. Ventilate the space with a positive pressure blower for 30 minutes. Check the space with a four function (LEL, H2S, CO, O2) gas meter. If four function gas meter reads safe levels of all four categories (Below 10% LEL, CO 35ppm, H2S 10ppm, Minimum 19.5% O2, and Maximum 22% O2) Prepare to enter the space. Prior to entering the space established an emergency evacuation system and designate an outside attendant. Continuously ventilate and monitor the space while occupied. If after 30 minutes of ventilation the space shows any level of LEL, CO, and H2S other than zero; an O2 % less than 19.5 do not enter and contact EHS. If at any time during occupancy of the space the meter goes into alarm mode exit immediately and contact EHS. Entry procedures for non-permit required spaces are not as stringent as those for spaces requiring a permit. However they are just as important to protect the health and safety of persons who enter the space. Ventilate the space with a positive pressure blower for 10 minutes. Check the space with a four function (LEL, CO, H2S, O2) gas meter. Online training is available here (Online Training). Classroom training and more information is available by contacting EHS at 205-348-5905.